Please join Ready Set Smile at Uptown Rotary’s Benefit for Kids fundraiser on Friday, April 26, 2019. 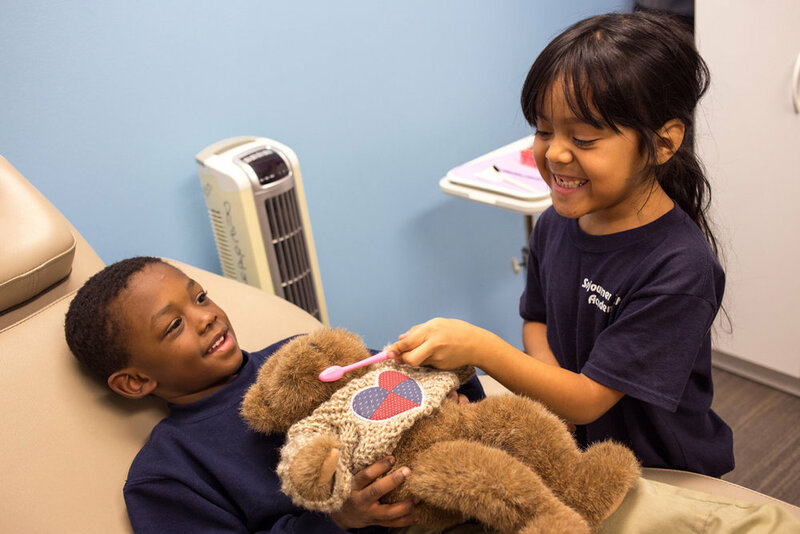 We want every child in our Minneapolis community to be free of dental disease. Our program focuses on both dental services and education. And we're making a difference in our community. "I’m so happy my daughter enjoyed her first visit to the dentist!" "Now my teeth are as strong as a super hero’s!" "Nothing warms my heart more than watching the children leave with big grins on their faces and knowing that we are starting these healthy habits early." You can help us make that difference.